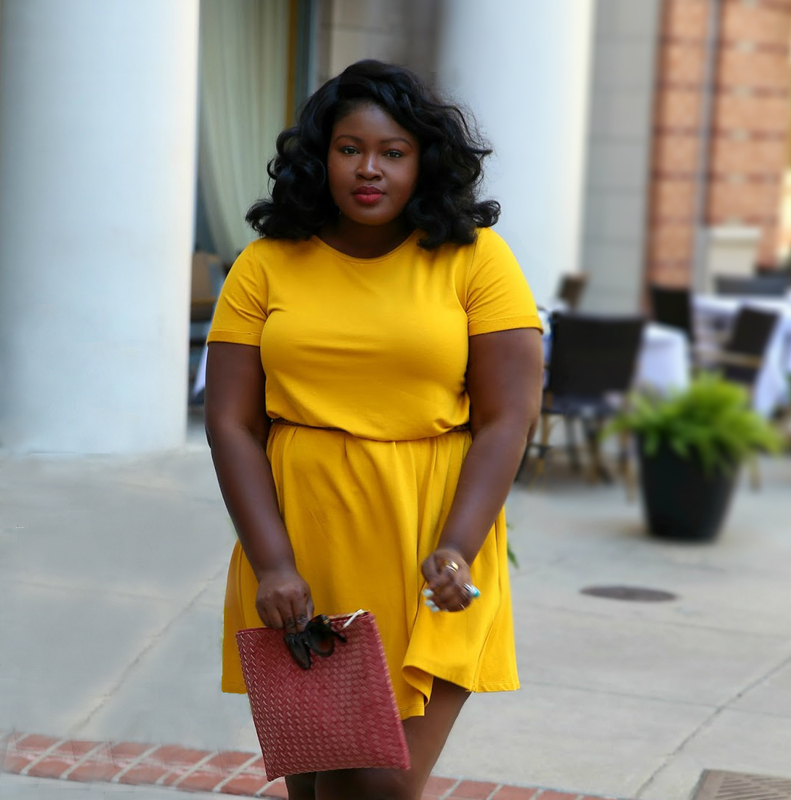 Summer is literally here and I’ve been loving rocking some of my summer go-tos but because we’ve had bipolar weather lately, I thought I would share three outfits that you can rock no matter what your weathers like. So what demarcates spring from summer I guess shedding most of our leftover layers from winter. Summer can be a precarious time when your plus size for many reasons, body image, and hygiene issues (see Hacks Video) to name a few. During the summer I tend to gravitate towards Lightweight cotton, non-clingy silhouettes, pieces with intentionally place cut outs and basics. 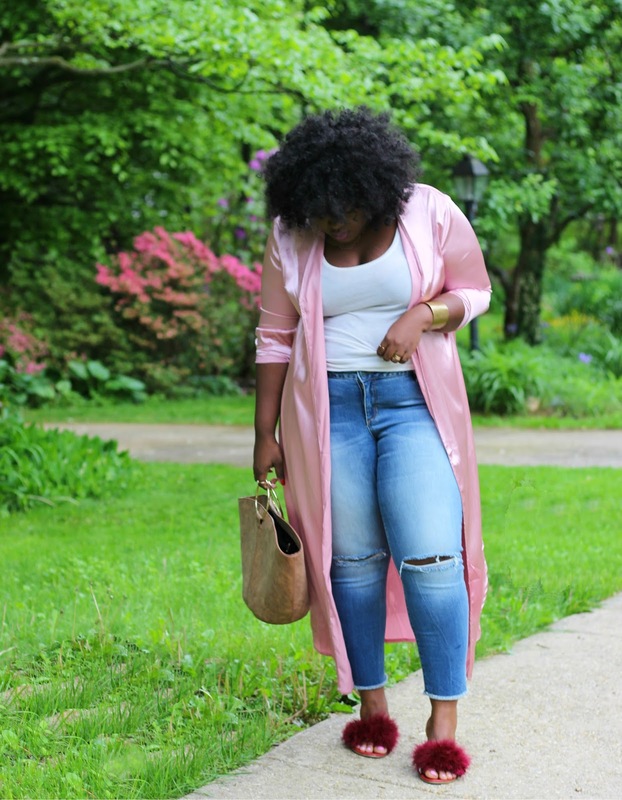 My style on the blog has gotten pretty casual as of late, pretty true to my style actually, after blogging for five years (Happy Blogiversary we turned five this month) I’ve come to a point where I don’t feel the need to do the most with my looks (be ultra glam all the time). I want to showcase more how my personal style works in tandem with my lifestyle, I hope that’s ok with you. 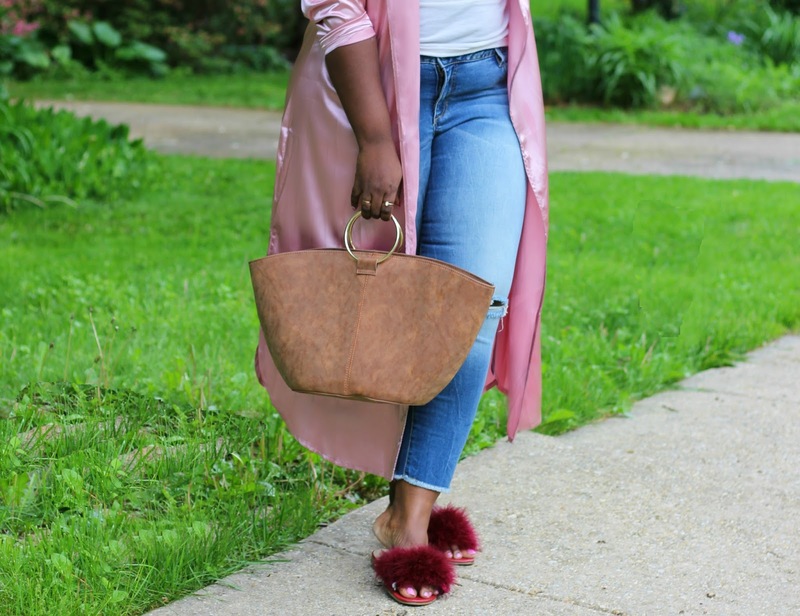 For this look, I paired my Embroidered Duster from Boohoo with a tank, my Kut from the Kloth jeans that I received via Dia & Co (find out about more Here), my Fur slides which are comfortable but make a statement and finally a Target Ring tote that I realized I’ve worn in the last two posts 🙏🏾 . 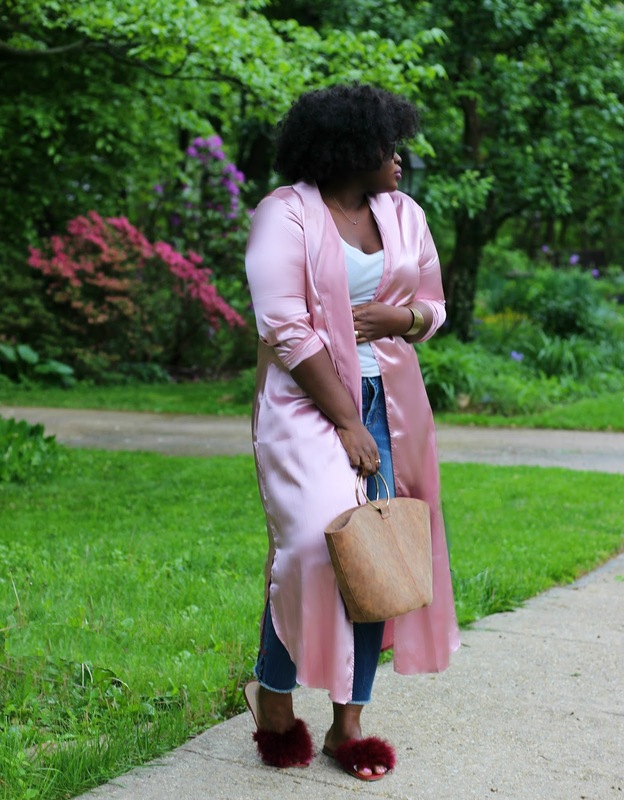 This look is very now (silk dusters and robes are trending) but also perfect for cool summer nights/day because the duster is light enough to layer with on a typical summers night. If worn during the day and the heat becomes unbearable it can easily be discarded. 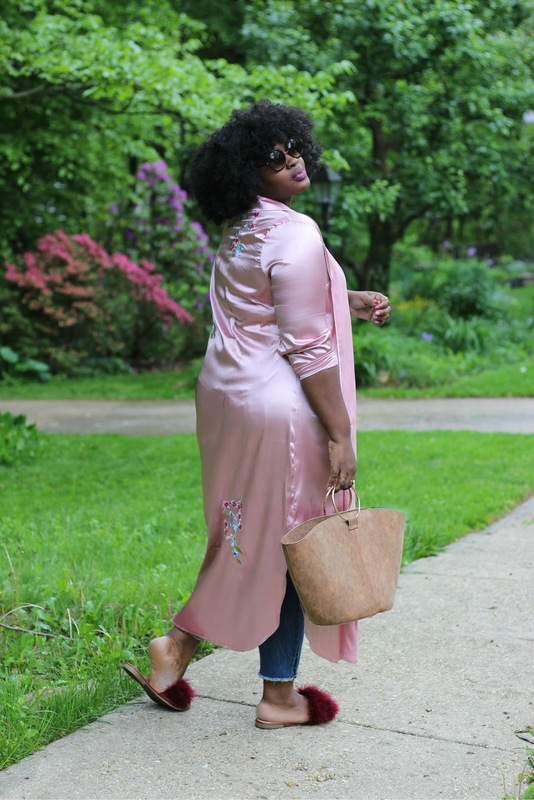 Tip: During summers months Fabric selection is key especially when your plus size, gravitate towards loose, airy, natural and breathable fabrics like cotton, paper thin silks, and linen to minimize hygiene issues. 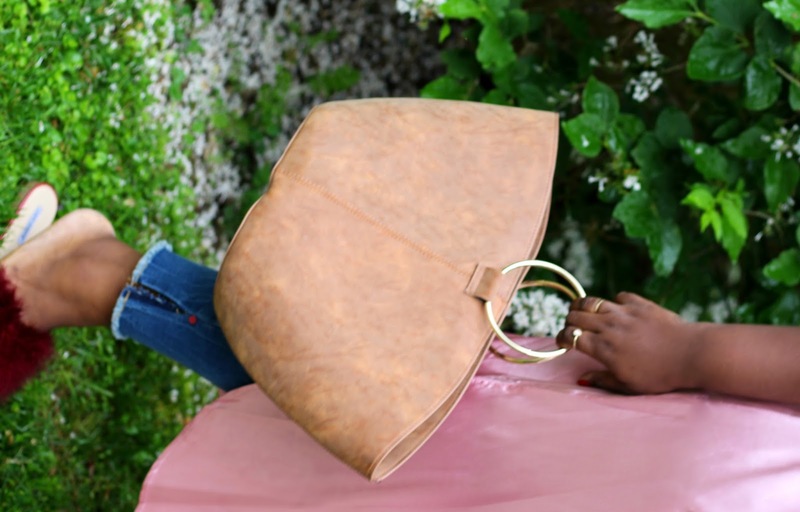 Are you loving all this talk of summer outfits, sign up for our Newsletter for exclusive content and upcoming happenings also follow this blog on Bloglovin so you never miss a post. Yes to all of the looks! 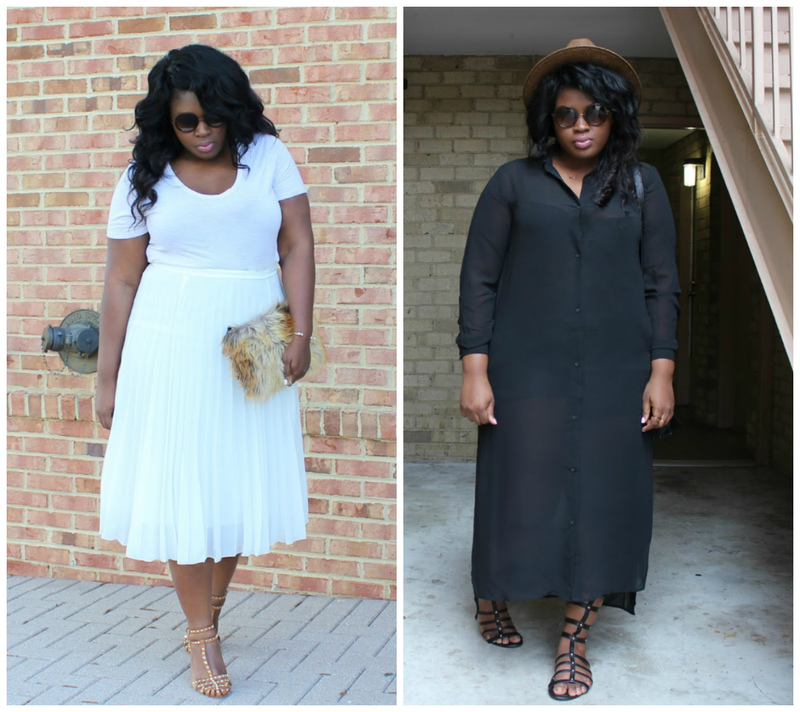 The pink robe/duster, the white pleated skirt, and especially the black sheer tunic with shorts. All three looks are on point. And I'm totally down for a more casual style transition. Thanks boo, it will be so much easier to share my style now! Omg �� I've wanted create and outfit like this but was so nervous because I didn't know how it would turn out. Thank you for the inspiration.